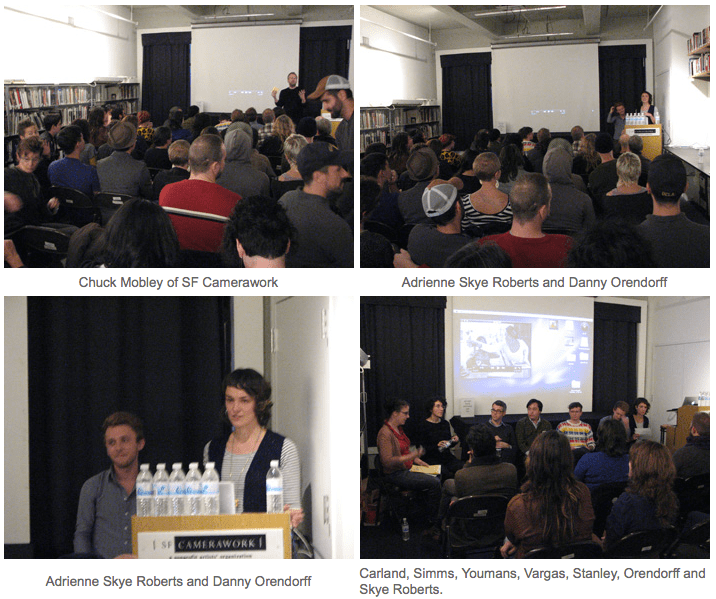 On Friday, October 22, 2010, the Queer Cultural Center of San Francisco & SF Camerawork Gallery co-presented Suggestions of a Life Being Lived – A Conversation. Following a brief gallery tour by myself & Adrienne Skye Roberts, we then went into a conversation regarding the exhibition’s themes and ideas of contemporary forms of radical queer resistance & image production with exhibiting artists Jeannie Simms, Eric Stanley, Chris Vargas & Greg Youmans. Big thanks to Tammy Rae Carland for moderating the conversation, and to Rudy Lemcke & Tina Takemoto for their help organizing and ensuring such a great turn-out! 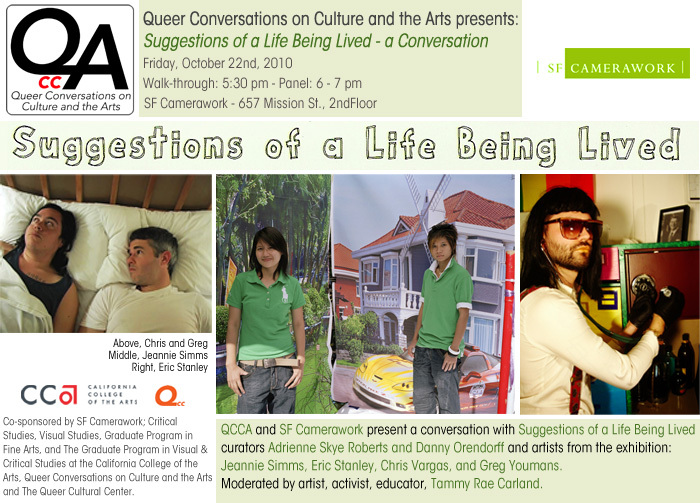 CultureWire Presents: Suggestions of a Life Being Lived. Interview & Gallery Tour with Adrienne Skye Roberts, produced by The San Francisco Arts Commission.